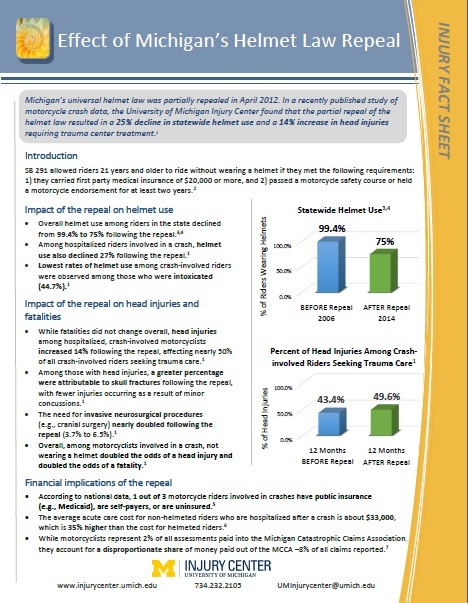 Below you’ll find documents that support better understanding of injury topics that are frequent topics of policy discussions. 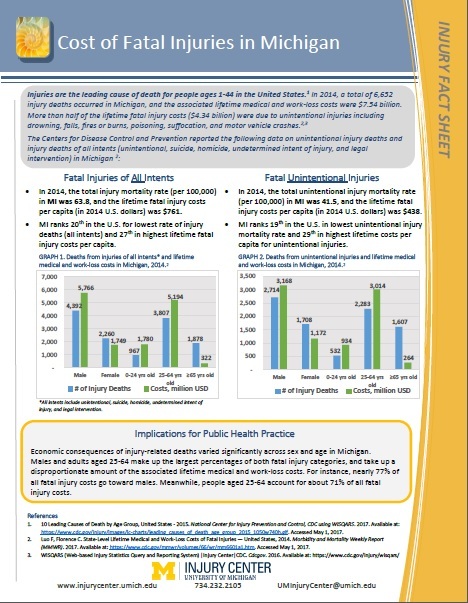 These fact sheets have been developed to provide objective data about the issues. 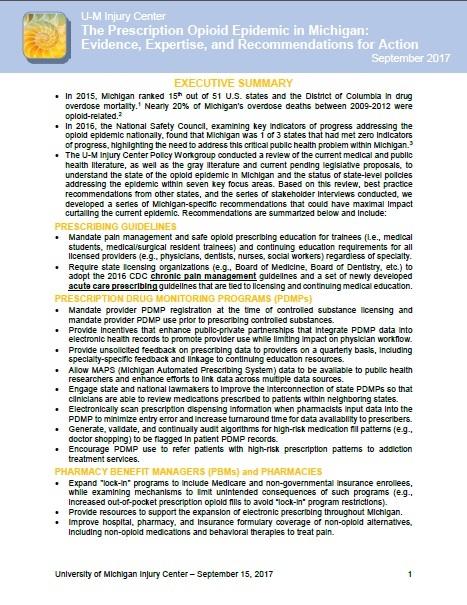 We invite you to share these documents with policymakers or others interested in better understanding these topics. 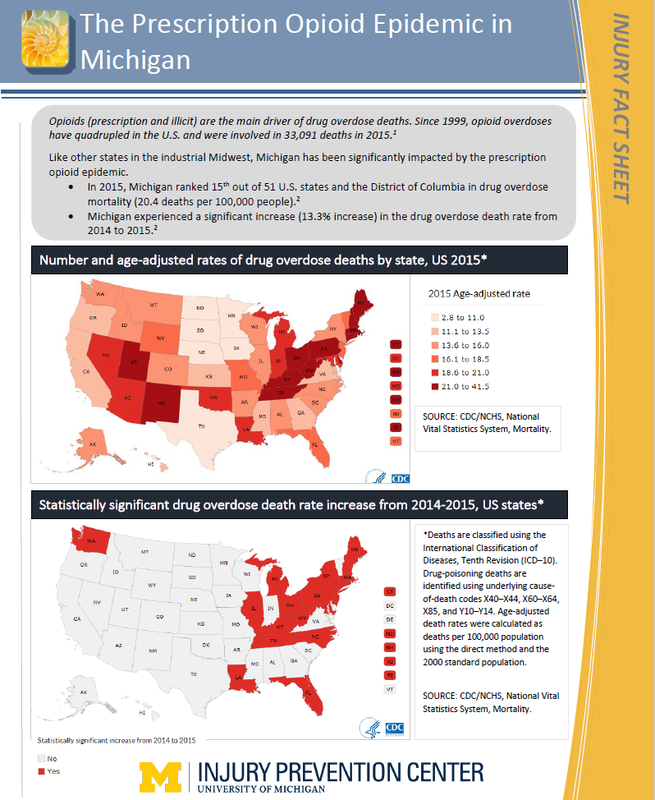 This document describes the prescription opioid overdose epidemic in Michigan. 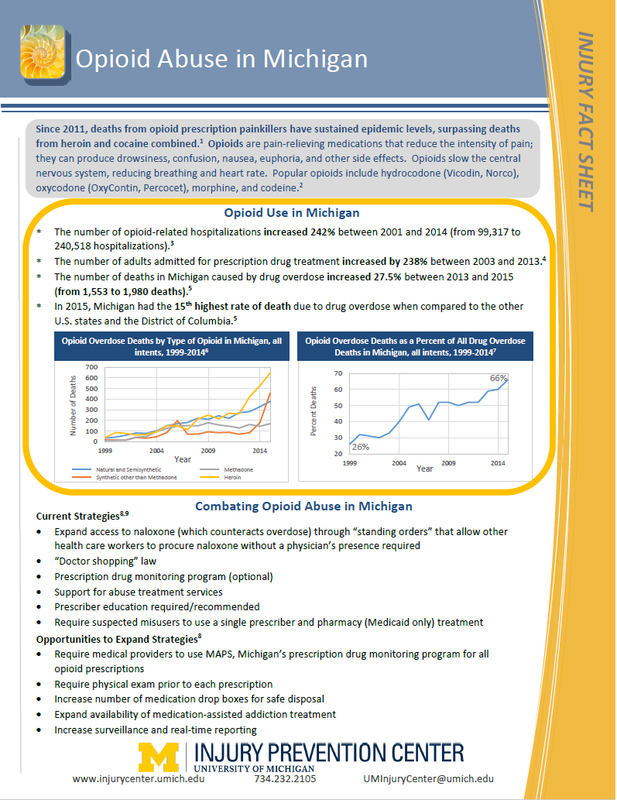 This document describes the trends in opioid abuse in Michigan and current strategies (and opportunities to expand strategies) to combat opioid abuse and overdose. 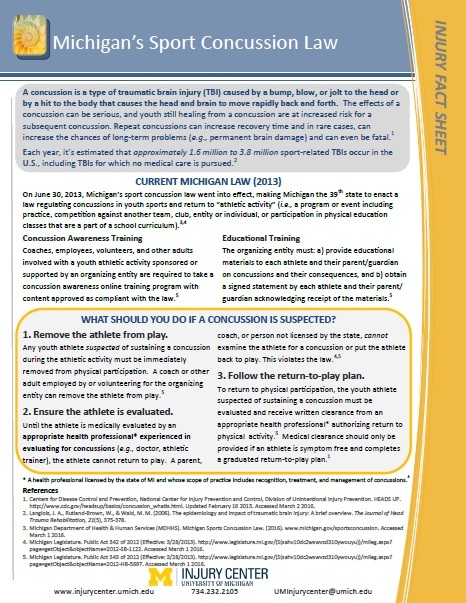 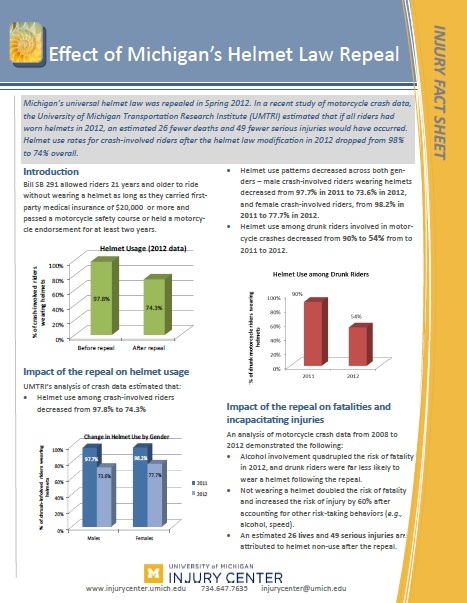 This document describes the impact of Michigan’s universal helmet law repeal in Spring 2012 on helmet usage and on fatalities and incapacitating injuries. 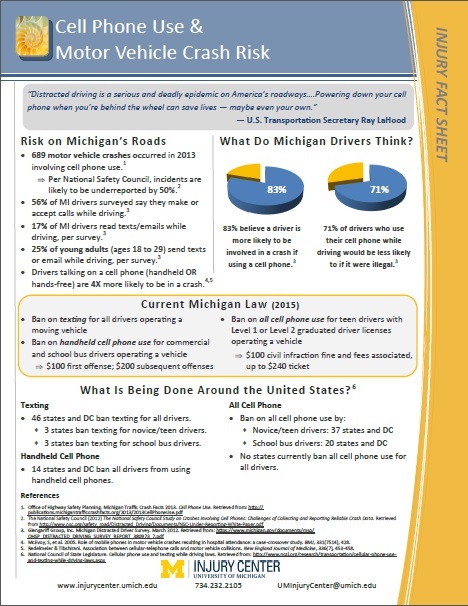 This document describes motor vehicle crash risk in Michigan and the current law (2015) on texting, handheld cell phone use, and all cell phone use in Michigan and all around the United States.